Toby you are a laugh. Have a wonderful wordless Wednesday. You are too cute! I love your look ~ 'hey, we're trying to sleep here'. Awww, that is so sweet. 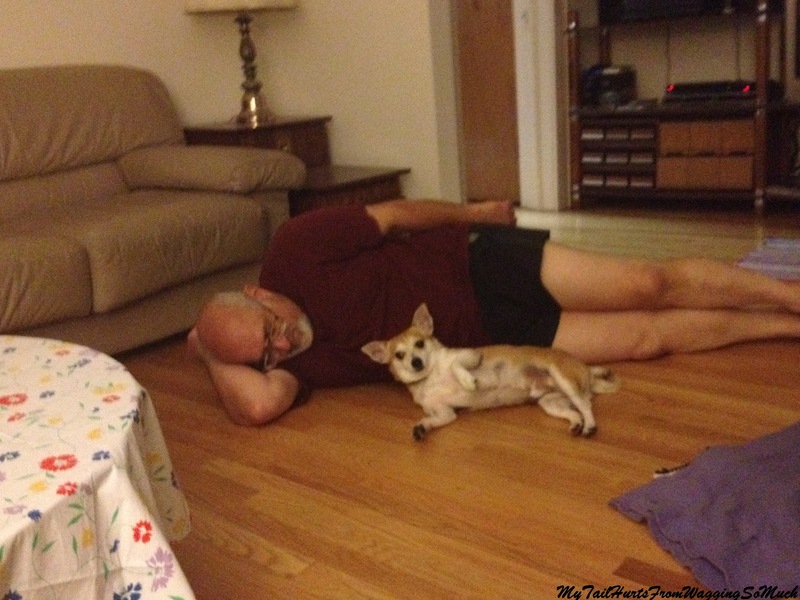 I hope you enjoyed lounging around on the floor with (and like) grandpa! It looks like grandpa is awfully fun! A chip off the old block!!! MOL! You shoulda used that for synchronized napping! Looking good Toby! I like Rulers Bouzouki "synchronized napping"!